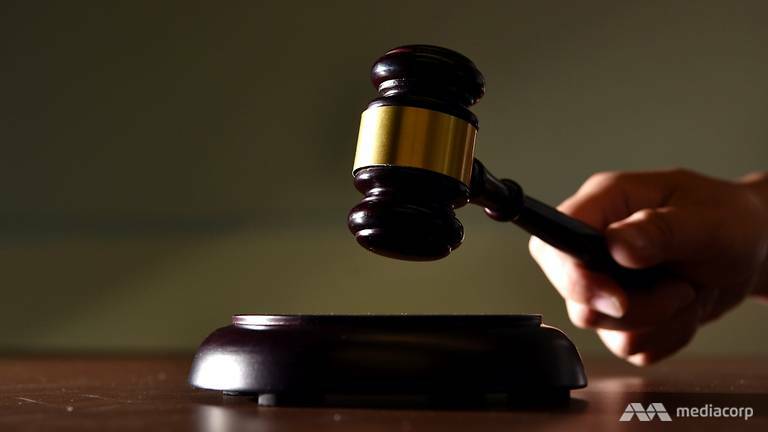 A father who hit his crying infant son two years ago, fracturing his skull, was sentenced on Friday (Nov 9) to six years' jail and six strokes of the cane. His wife, who was sitting on the bed with the child on her lap, heard a loud "smack" sound when her husband hit the boy. The force of the hit caused the baby's body to move left, and she held onto him tightly so that he did not fall. After he was hit, the baby cried even harder, court documents said. His father calmed down eventually and took the child from his wife, placing him on his lap. A short while later, the baby vomited on the floor before eventually going to sleep. His mother called for an ambulance the next day when she noticed that the baby looked "semi-conscious" and "weak". He was taken to the intensive care unit and later placed on neuro-rehabilitation. After he was discharged, he was placed under foster care. A medical report from KK Women's and Children's Hospital in April this year found that the child has epilepsy with global developmental delay. He suffers from dystonia, a movement disorder with involuntary muscle contractions, and has a swallowing dysfunction, requiring continuous tube feeding. Another medical report in October found that the boy's disabilities from his injuries were still persisting. He has dystonic cerebral palsy, along with epilepsy, a dislocated left hip and obstructive sleep apnea. Although he is now two years and eight months old, his developmental age was assessed to be around four months old. Deputy Public Prosecutors Kumaresan Gohulabalan and Grace Chua had asked for a sentence of at least five-and-a-half years' jail and six strokes of the cane, saying that the accused's single act caused his son to suffer multiple skull fractures and permanent disabilities. They added that the child has been denied a normal life, and was defenceless against the "senseless assault" that caused irreparable and serious injuries. "The accused was the victim's father," said the prosecutors. "He was responsible for the victim's daily needs and care. When the victim was crying that day, instead of pacifying the victim or even checking on him ... the accused betrayed the trust reposed in him by not only neglecting the victim, but also physically assaulting the victim." For voluntarily causing grievous hurt, the man could have been jailed for up to 10 years and fined or caned.